Home » 1955 , Business law & Startups , Lagos Government Railway , Nigerian Railway Corporation , Nigerian Railway Corporation Act , Senator Gbenga B. Ashafa » Time Has Come To Open Up Our Railway Sector To Private Sector Participation- Senator Gbenga B. Ashafa. Time Has Come To Open Up Our Railway Sector To Private Sector Participation- Senator Gbenga B. Ashafa. 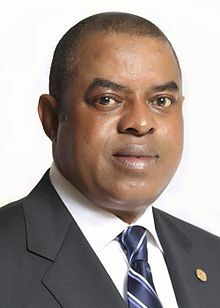 Senator Gbenga B. Ashafa representing Lagos East Senatorial District at the 8th Senate, is the Chairman Senate Committee on Land Transport. Through this feature, he renders his opinion on how to transform the Nigerian Railway Sector and a report on the efforts of the Senate Committee on Land Transport towards ensuring a transformed railway Sector beneficial to all Nigerians. I have chosen to start this article with the foregoing quote from Wikepedia to give you all a background of the history of the Nigerian Railway Corporation and by extension the Nigerian Rail Sector. This quote will also put in proper perspective the urgent need to open up our railway sector to Public/Private Sector Participation. In the recent past, Nigeria particularly has learnt that private participation drives effectiveness and Accountability in most service/utility sectors. We have learnt that the Government cannot carry the burden of delivering every service or utility. Successive governments in Nigeria have over the years burdened itself with the task of providing power, water, a National Carrier, Telecommunications, Railways etc. What we have experienced till recently has been a steady decline in the functionality of Government-run social utility services. This has led to the change in disposition of Government towards extending a hand of partnership to the private sector to come and invest in some of these sectors. Sectors that have benefitted from the Private Sector Participation in Government Business include the Telecommunications Sector and the Power Sector. Since the introduction of private sector participation in the Telecommunications Sector, the service has become more affordable, effective and accessible to every single Nigerian. The Telecommunications value chain also employs Millions of Nigerians with investment in the Sector set at about $32 Billion as at the first quarter of 2016. Till the Telecoms sector was opened up in 2001, it was an untapped gold mine with unfathomable potential. It is this same quantum of potential that we seek to replicate by introducing the requisite CHANGE into the Nigerian Railway Sector. Now, to achieve this change in disposition of any critical sector, there has to be a critical change in the Legislation that drives the Sector. Legislation forms the fulcrum of human, government and business interrelationship in every society. Hence what we need to and seek to do is to drastically change the legislation that guides the Nigerian Rail Sector to ensure that we maximize the full yet untapped potential inherent therein. For the sake of emphasis, the legislation that guides the Nigerian Railway Corporation was promulgated in 1955 (61 years ago). Till now, you will agree with me that the country has focused primarily on road transportation in ferrying persons, goods and services from one point to the other. What this has led to over the years has been an influx of cars, congested roads, over-burdened road infrastructure, loss of lives to accidents and reduction in the productivity of manpower due to unending hours spent in traffic jams. Government after government has invested even more in road expansion projects. The result as can be observed in the case of Lagos and Abuja has been a gradual occupation of the expanded roads with more cars. This is attributable to rural-urban migration as well as population explosion across the nation. Mass transit remains a very pivotal aspect of the development of any city. It plays a critical role in enhancing productivity of the state by ensuring the movement of the largest number of people from point A to Point B within the shortest possible time. It also reflects the quality of life and the value placed on the unit citizen by any responsible government. You will agree with me that the most effective means of transporting large quantities of humans, goods and services within any country is via rail. This is why whenever the topic of mass transit is discussed; rail transportation must be given its pride of place. In the light of the foregoing, When I was appointed the Chairman of the Senate Committee on Land Transport, my humble self and committee members held interactive sessions with the Ministry of Transport and the Nigerian Railway Corporation to listen to the challenges facing the rail sector. We also at other different fora interfaced with stakeholders in the Rail Sector to feel their pulse on what needs to change to enable the Sector thrive. Our intention was to ascertaining how we as legislators could be of assistance to the Federal Government and fellow Nigerians through creating an enabling environment to revamp the rail sector through the instrumentality of legislation. Upon our interaction with the Stakeholders, we discovered that there is an urgent need to open up the Sector to active private participation, predicated upon both State and Private Sector Participation on a level playing field. To achieve this, we zeroed-in an urgent need to amend or repeal the existing Nigerian Railway Corporation Act, 1955, which does not contemplate private participation in the rail sector. I am therefore convinced that the time has come for us to open up our railway sector to private sector participation. Just in good time, the Senate at Plenary forwarded the Nigerian Railway Corporation Repeal and Reenactment Bill 2015, sponsored by Distinguished Senator Andy Uba to the Senate Committee on Land Transport. Shortly after that, the National Transport commission Bill 2016 was equally forwarded to the Committee on Land Transport. With regard to the Nigerian Railway Corporation Repeal and Reenactment bill, the Senate Committee on Land Transport successfully held a public hearing, which had in attendance all the important stakeholders in the sector. This culminated in the setting up of a technical committee made up of stakeholders with the legal and technical expertise to further advise the Senate committee on the desirable disposition of the proposed legislation. On Wednesday, 24th May, 2015, the report of the technical committee was submitted to us and I had the privilege of presenting the said report to His Excellency, the President of the 8th Senate, Dr. Abubakar Bukola Saraki on the same date. Based on the recommendation of both the Senate Committee on Land Transport and the Technical Committee on the Nigerian Railway Corporation Act Repeal and Reenactment Bill 2015, it was agreed that due to the extensive recommended changes, the tittle of the Bill should be changed to the Nigerian Railway bill, 2016. Consideration of the report of the Senate committee on Land Transport with regard to the said Bill has equally commenced before the Senate at plenary. The Third and Final Reading of the Bill, which will include the line-by-line consideration of the committee recommendations with regard to the Bill will be completed upon the resumption of the Senate from its recess. With regard to the National Transport Commission Bill, preparations are currently in full gear to hold a public hearing as well. What we seek to achieve by these legislations is to replicate in Nigeria what started in the United Kingdom a bit over 20 years ago and as succinctly captured by the quotes from McLoughlin MP, just above. This radical departure from the norm will make the sector more attractive to investors, by separating the roles of the operators and the regulator. A whole lot of investors have over time complained about the role of the Nigerian Railway Corporation as both the operator and the regulator in the sector. With the upcoming legislation, we expect to see a completely re-positioned Rail Transport Sector, open to private sector participation. Once the rail sector is opened up to Private Sector Participation, we would have achieved two principal things, which are; Creation of Millions of jobs on one hand and also we would have successfully solved the challenge of inter/intra city mass transit. Having said these, I must thoroughly commend the effort of the Muhammadu Buhari led APC Government through the Ministry of Transportation headed by H.E Rt. Hon Rotimi Amaechi in consolidating the infrastructure relevant to drive our renewed rail sector, the Senate President who ab-initio showed interest in this vital sector by convening the National Assembly Business Environment Roundtable for the first time. I also commend the various states that have begun laudable intra-city rail lines, of particular note is the Government of Lagos State ably led by H.E Governor Akinwunmi Ambode. The Nigerian Railway Bill 2016 will essentially become the Bill that will bring all these brilliant initiatives by the Federal government and soon- to- be investors together to ease the Mass Transportation challenges across the Nation and as such help to increase the collective productivity of our work force. In the same vein, I would like to seize this opportunity to commend all those who have worked tirelessly and pro-bono with the Senate Committee on Land transport, particularly the members of the Technical Committee on the Railway bill, ably chaired by Engineer C.C Okoye, the Chairman Body of Fellows, Nigerian Society of Engineers, the Nigerian Infrastructure Advisory Fund, Nigerian Economic Summit Group, Ministry of Transport, Office of the Senate President, the Nigerian Railway Corporation and all those who time and space would not allow me to mention here. We are indeed grateful. It is our earnest hope, that these laws garner support across board and that upon the passage of these new legislations by this 8th National Assembly, we would have contributed in no small measure in opening up the rail sector, thereby attracting both Local and Foreign investments, creating millions of jobs and also establish a beneficial platform for the transportation of humans, goods and services alike.